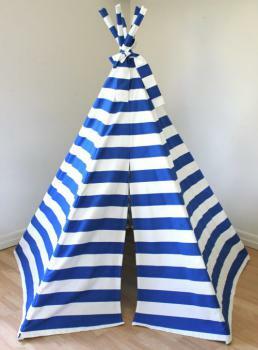 Teepee tents are a terrific addition to any kids’ play room, especially when they’re as stunning as these handmade Blue and White teepees that are perfectly sized for indoor play and ideally made for outdoor play as well! These handmade kids teepees are perfect for kids to snuggle up in, giggle in delight as they host tea parties or club meetings, drift away to sleep gently or have a blast as they craft and colour! Gorgeously made by hand in Australia, these kids teepees in nautical Blue and White stripes pack loads of fun encouraging children to explore, reflect, engage and enjoy the delightfulness that childhood is made up of. Well-made, built to last and with enough room for kids to lay in and read, colour and craft, host teddy tea parties or secret club meeting, play board games and more, these teepees are ideal for both indoors and outdoor play. 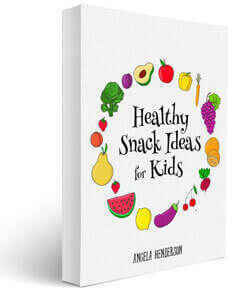 Yes, you can take them with you to the park, the beach or the backyard! Children will love their teepee tents so much that they’ll soon become a second home for them. A cosy, comfy nook to escape to when they want to read, colour, craft, play, nap and more! It’ll hold memories of gigglefests, quiet time, happiness and so much more. Kids teepees are a treat for learning while having tons of fun. Whether you’re nurturing creativity with colouring sessions or engaging imaginations with pretend play and toy tea parties or inspiring reflection and introspection, teepee tents are the perfect place for them!